Motorcycle Santa Wins the Photo Contest! Congrats to Phil Thompson (a.k.a. 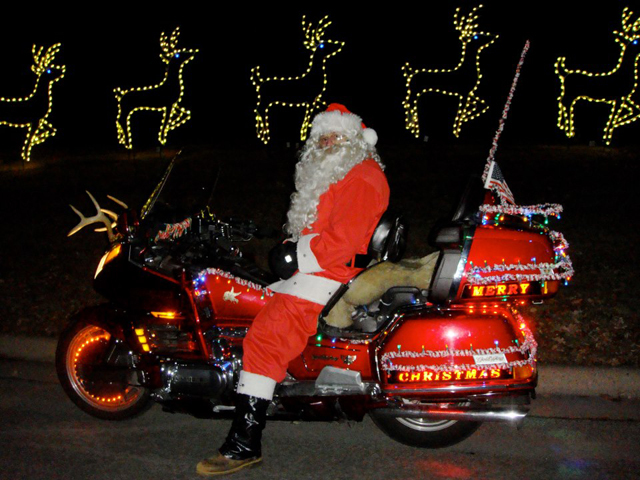 Motorcycle Santa) for winning our Holiday Photo Contest with 303 votes! On GigMasters, he’s listed as Phil Thompson Pianist & Vocalist, Duos, Trios & DJ and now we know he’s a fast-riding mobile Santa as well. To view the results (and to see all of the great pics) visit our contest page on Facebook. There were 906 votes total and it was a close match all the way to the end. And a special shout-out to The Hanson Family Singers for their strong finish in second place with 263 votes. Thanks to everyone who entered and voted! Stay tuned to Inside the Gig for more contests.